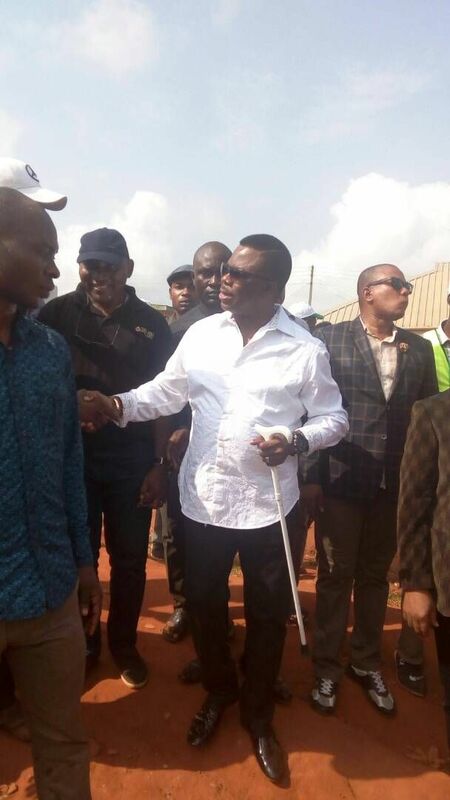 Anambra State Governor, Chief Willie Obiano has voted at his Eri ward 4, in Aguleri, Anambra East local government area in the ongoing governorship election in the state. Obiano is battling to retain his seat for second tenure. The incumbent governor, who voted at exactly 9:57am, said the process was going on successfully. He, however, complained about disruption of the exercise in Ihiala area, where he said violence had broken out. He also expressed optimism that he would win the election. The governor also complained about the card readers, which he said failed to capture his finger print, and may cause the disenfranchising of some people if such continued. He said, “My voter’s card was scanned but my fingerprint could not be accessed”. Obiano explained that the card reader could not read his fingerprints, but he was able to vote because his voter’s card was verified by the device. “My card was verified but they said they couldn’t read my fingerprints,” he said. In Nsugbe, the candidate of the APC, Tony Nwoye had not voted as at the time of filling this report. Meanwhile, fight broke out at the ward of the APC candidate after the card reader failed to capture some voters. While supporters of the APC insisted on the use of manual accreditation, the APGA supporters insisted on the use of the card readers. The development led to a fight between the groups, but the situation was later arrested by security agents on ground.